To beat your pain, you need to understand your pain. That's why spending just 5 minutes a day writing can be your most effective tool in fighting chronic pain. I considered creating a pain journal for quite some time before actually starting one. Before that, I always just pushed through my pain, and I suppose a part of me just hoped that it would eventually go away. 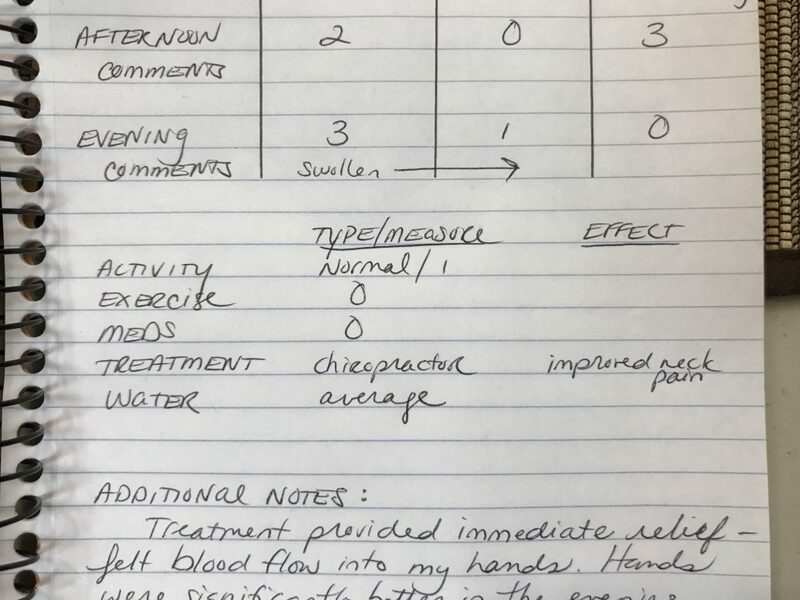 After 19 years, though, what got me to start my first pain journal was the sudden realization about how little I actually knew about my pain when meeting my new rheumatologist. She asked me questions, while I was able to describe my symptoms very well, I knew shockingly little about the myriad other factors that could be influencing my pain, from diet to exercise and beyond. Then and there, I decided I need to know more precisely what was going on with my body so that I could collaborate better with my medical team. Since I started my chronic pain journal, I’ve found the process helpful in other ways. I’m more aware of my pain in the moment, which helps me contextualize it better, as well as better appreciate the moments I’m not in pain. It has motivated me to take better care of myself by exercising or drinking more water, because I can quantify that I am less likely to be in severe pain if I do these things. 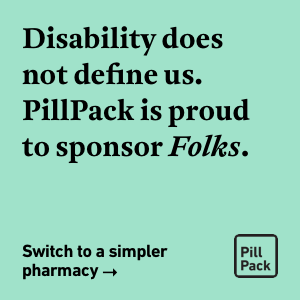 Finally, having a written record of my pain allows me to better work with my doctor to aid in diagnosis as well as pain management, by allowing me to track exactly how well my medications are working. If you, like me, are in chronic pain, one of the best things you can do is start tracking it. Here are some of my tips for getting started with a pain journal of your own. If you, like me, are in chronic pain, one of the best things you can do is start tracking it. A pen and paper. Any notebook will do. If you are proficient at Word or Excel, you can also make pages that you can print out and place wherever you will do your regular recording. It doesn’t matter if you’re using a Moleskine or a stack of looseleaf paper: the important thing is to create a journal that you can take anywhere and that you’re comfortable using. • What hurts? The part or parts of your body that are currently hurting, identified as specifically as possible. While I experience pain in many parts of my body, I chose to track the worst three locations: my hands, feet, and neck. I suggest starting with three or less to make it easier to stay motivated. • When does it hurt? Here, you want to list where you were, what time it was, and what you might have been doing when the pain started. • How bad is the pain? You need a standardized measurement for pain so that you can see patterns over time. You could choose a very simple scale like “no/yes” or “none/some/a lot.” I chose to use the standard pain scale of 0-10 because I want to demonstrate more nuance than a shorter scale would allow. It is important to note that “no pain” is just as important to register as “a lot of pain,” because this will help you consider what is different about that day why the pain is gone. A close-up look at my chronic pain journal. How Often You Should Track? At least daily. Habit research tells us that we are more likely to complete a task if done daily than when we skip days. But more is better. In my case, because I know that I have a rhythm to my pain throughout the day, I decided to track it several times per day, morning, afternoon, and night (although sometimes I fill in all of those points at the same time before bed). Once you’ve gotten used to tracking your pain for a month or two in a very basic journal, you can start customizing your journal to your experience. Everyone’s pain is different, so your journal will likely be different from mine. Keep experimenting with what works for you, and what information you find useful! Everyone’s pain is different, so your journal will likely be different from mine. Keep experimenting. A chronic pain journal is only useful if you use it consistently, but consistency can be hard to establish. I suggest you put your journal in a regular place, and tie your habit of logging your pain for the day with another habit you’ve already established: for example, if you take medications at a particular time every day, put your journal near your medicine and commit to tracking your pain at the same time as you take your pills. Pain is exhausting, and sometimes the idea of adding one more thing to your to-do list when you are worn down feels devastating. But a chronic pain journal is a small commitment that anyone can make to try to get to the bottom of their pain for once and all. Don’t be hard on yourself if you miss a day or two: it’ll be okay, just pick it back up when you can. Some data is always going to be better than no data, so anything you can write down will help in the broader battle against pain. Think of your journal as one small thing you can do to try to understand your pain and use it as motivation to try new ways to lessen its burden.